This is SUPER easy to make and I have to say it tastes wonderful! 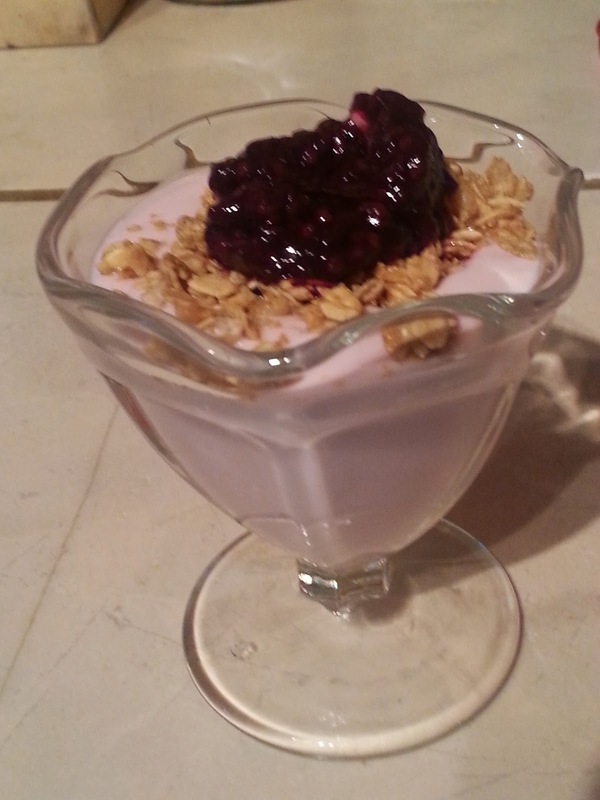 Layer the yougurt, then some granola and top with the jam. yum! 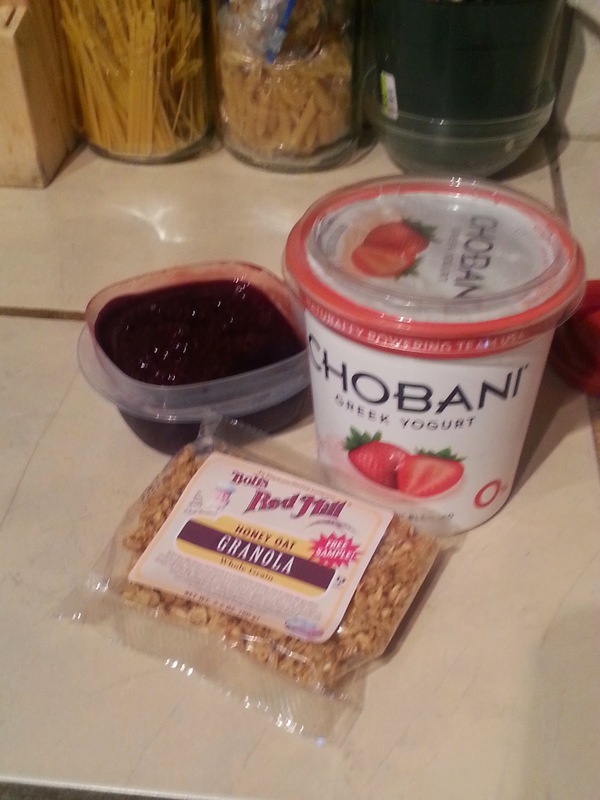 I love Chobani yoghurt and this looks scrumptious! Yummy! Quick and easy, yet healthy and tasty! You can't lose!